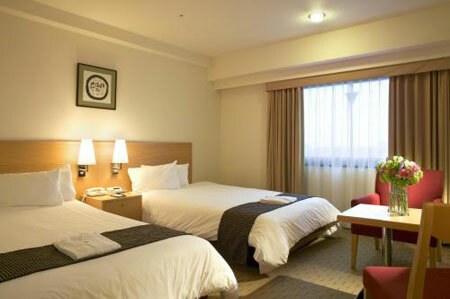 Mercure Hotel Narita Airport is located near Keisei Narita Station or 6 minutes by train from Narita Airport. A 15 minutes walk brings you to the Naritasan Shinshoji Temple which hosts festivals throughout the year. You can also take a delightful stroll around Mount Narita Park and the enclosure around the temple. 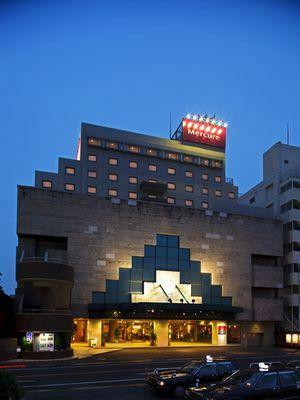 All 248 rooms are equipped with an electronic card key system, voice mail, high-speed internet connection, office desk, air conditioner and pay-per view TV featuring the latest movies. 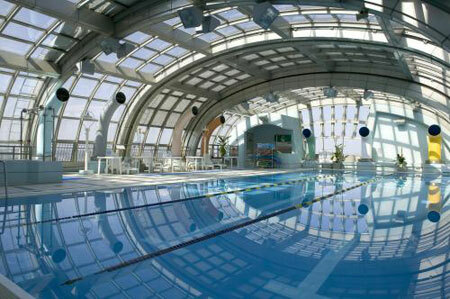 A professionally equipped fitness center and an indoor pool are available for hotel guests. Seychelles Restaurant serves an assortment of Western dishes and a large selection of fine wine throughout the day with gracious service. 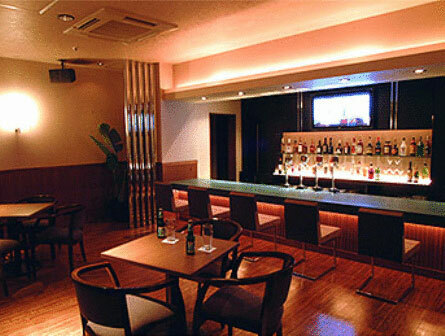 Half Time bar is a great place to unwind in a relaxed and casual atmosphere. Chinese Restaurant Manten. Enjoy authentic Chinese cuisine in a comfortable and relaxed dining atmosphere. 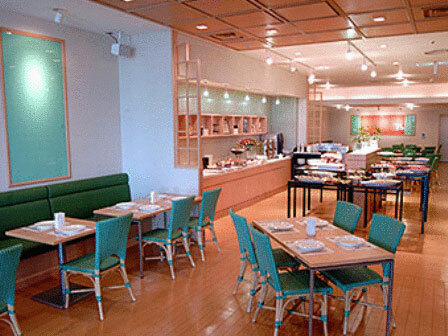 Japanese Dining Kawano-ne. Fine Japanese dining with chicken, tofu, & freshly cooked rice. Relax with the sound of the murmuring brook in our Japanese atmosphere. From Narita International Airport take the Keisei train line approximately 10 minutes to Keisei Narita Station. Take the west exit and you will see the hotel. From Tokyo Central Station take the Keisei or JR Narita Line approx 1 hour to Keisei Narita Station. 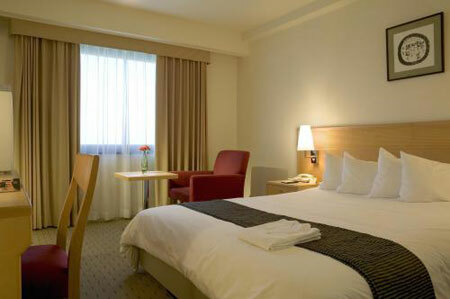 The hotel also provides a shuttle bus which can be taken from the airport bus stop.